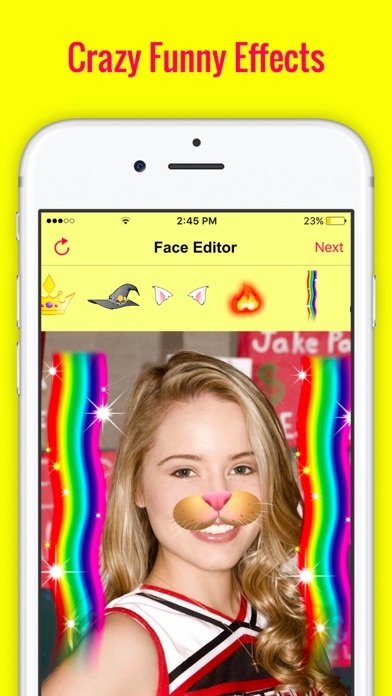 Make fantastic photos with crazy funny face filters including the popular Dog filters and many more animals filters. 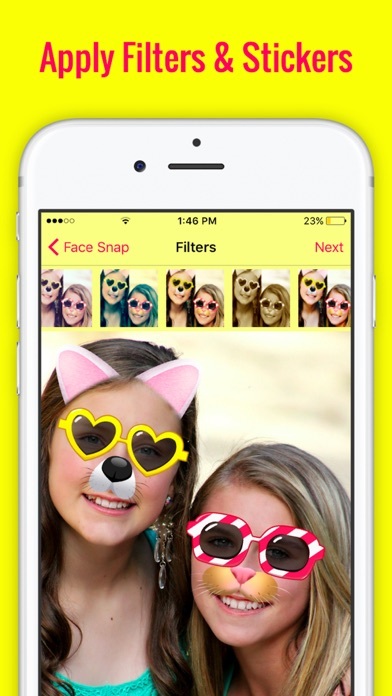 Add Stickers and Image Filters to make your snaps super funny. 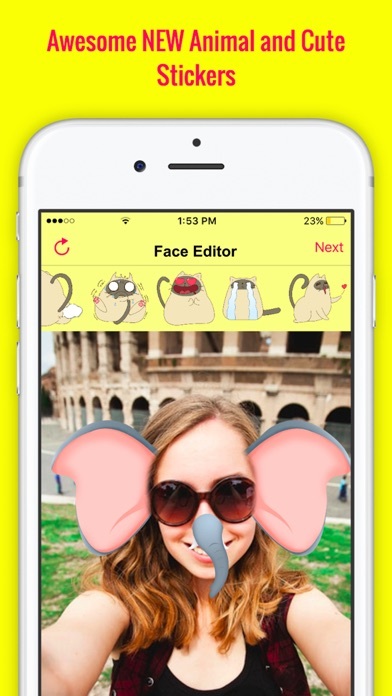 You can easily share to Instagram, Snapchat, Twitter, Facebook, Wechat and more social networks. 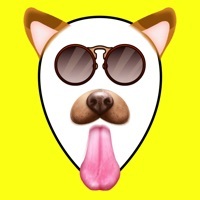 - Doggy, Cat, Elephant and many animals face effect stickers - Rainbow effect stickers; - Comic style bubbles to add to your photos - Add Photo Filters like Instagram - Many other special face effect stickers How we can use Fun Face Photo Filters and stickers App: • Take new photo with Camera or chose photo from the gallery. 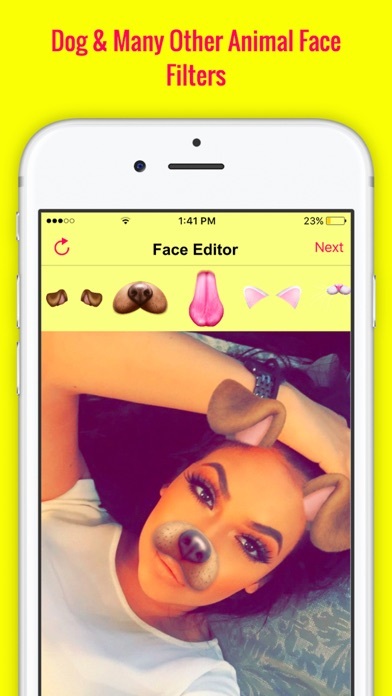 - Adjust Photo with Zoom in and Zoom out • Select Emojis/stickers to put on your images - Zoom in/Zoom out, Rotate left/right with 2 fingers to adjust emojis. 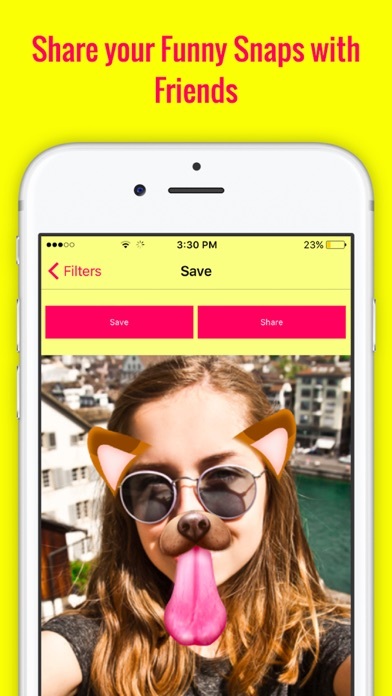 - Select Photo Filter effect - Save Images to camera roll or Share directly on Instagram, Snapchat or other social networking networks. Live Score for World Cup 2018.